Insurance companies not only face credit or cash risks but also operational and reputational risks that are derived from the way their business is managed. Also, insurance brokers have to maintain confidentiality when they are consulting with their customers and in the process of negotiations with insurance companies. The experts done in constant mobility, using new communication technologies and new devices to create the expert reports. 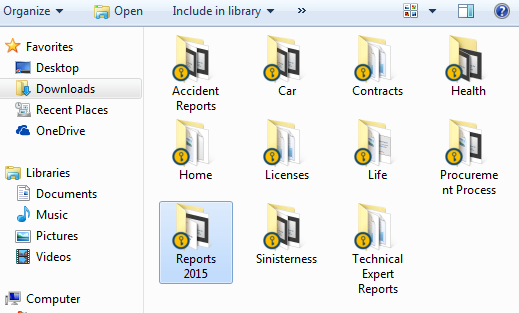 These documents, together with the text reports that value the damage, the negotiation with the company that will repair the damage, etc are included in the management folder of the accident in the company´s management system. This information is extremely sensitive against potential data leaks. 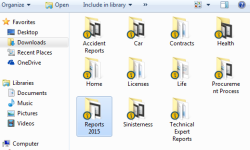 Protection of all this information regarding accident management records as well as customer information and financial management information is crucial to the Insurance business. Protect customer base information: rating, solvency, sinisterness. Comply with Data Protection Law for the contracts including personal data of the clients and their beneficiaries. 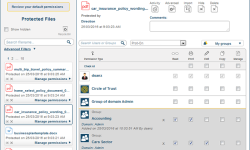 Control the information of negotiations with third parties via email or social networks. 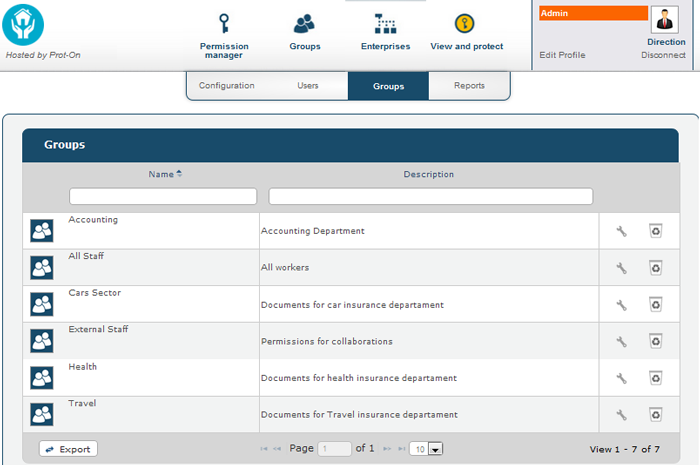 Use the cloud to store and share all sorts of official documents: accident reports, expertise information and records with total confidence. 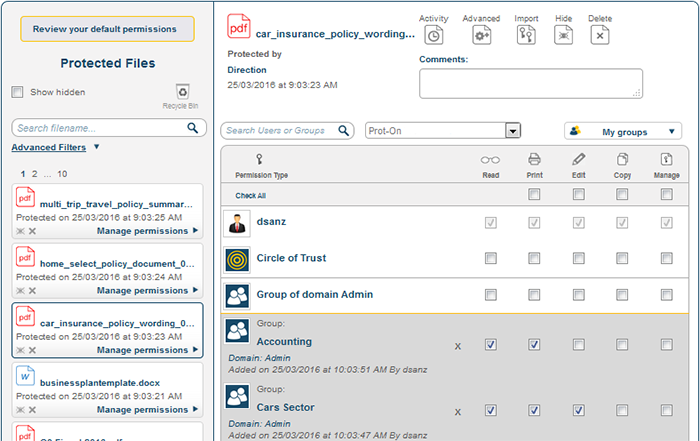 The collaborative creation of accident reports allowing the participation of several sources without compromising confidentiality. Can I know who acceded to my files? 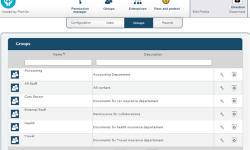 At any time you can check to see what user, and when, has accessed your document. 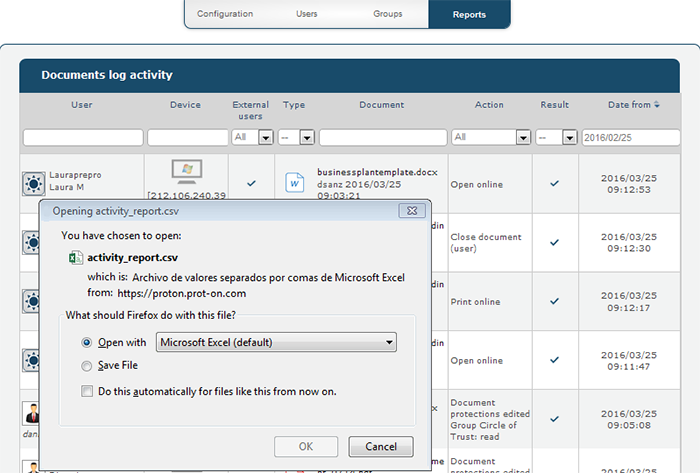 Choose a protected document with a right click of the mouse select “view activity”.